A Chinese-Mexican fast casual restaurant will soon join the food options at Hunters Woods Village Center. Chinito’s Burritos has filed permits to open at 2304 Hunters Woods Plaza. 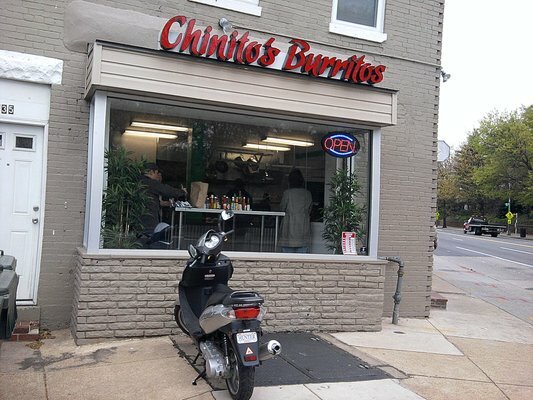 Chinito’s Burritos will be a suburban offshoot of a locally owned shop on Florida Avenue NE in Washington, DC. No opening date has been set. Chinito’s receives high marks on Yelp for its homemade egg rolls, signature hot sauce and fresh guacamole. Another new food spot, Cold Spoon Frozen Yogurt, opened at Hunters Woods two weeks ago.